This week isn't as busy, but there are still eight games for us to introduce today. Amongst them is the latest in the MLB The Show franchise, the return of a familiar mascot, and a Dreamworks Dragons film tie-in. It was 2006 when we last saw Bubsy The Bobcat in a video game. Now he's back and Bubsy: The Woolies Strike Back will be arriving on Playstation 4. 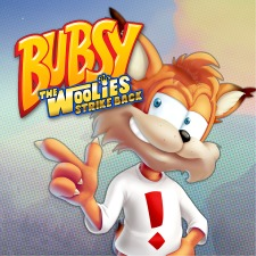 The first Bubsy game with trophies was Bubsy: The Woolies Strike Back, which was developed by Black Forest Games, published by Accolade and released on 31 October 2017. The next Bubsy game scheduled for release is Bubsy: Paws on Fire! for PlayStation 4, which has a release window of 01/01/1900.